Image by Charles Steadman, viewed 10130 times. 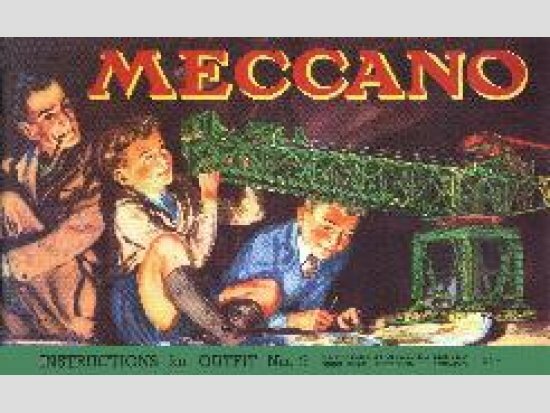 To open one of the many Meccano manuals in .pdf format on this site, you first of all need to click on the bar where it says, "Download this pdf file to your computer". The download can take a varying amount of time depending on the file size and the speed of your internet connection. A typical download might be 30 seconds or a minute or two. Once the file has downloaded you can 'open' it by double-clicking on its .pdf file in the "Downloads" folder in Windows Explorer. Your computer probably already has a .pdf viewing program, of which a popular example is "Adobe Acrobat Reader DC". On double-clicking, the Meccano manual .pdf file should open automatically in whatever .pdf viewing program is already installed on your computer. If your computer doesn't already have a .pdf viewing program installed, a free version can be easily found by doing a web search.